The Tucson, Arizona, food bank isn’t just giving away packaged foods. It’s growing healthy food—and teaching people how. Just off the banks of the parched Santa Cruz River in Tucson, Arizona, gardeners at Las Milpitas de Cottonwood Community Farm are harvesting a bounty of produce. They grow hot and sweet peppers, summer squashes, Nichols and Punta Banda cherry tomatoes, basil, okra, beans, corn, and the striped, oval Tohono O’odham watermelon: a desert-adapted watermelon with sweet orange-yellow flesh, cultivated by the Tohono O’odham tribe over generations in the Sonoran Desert region. 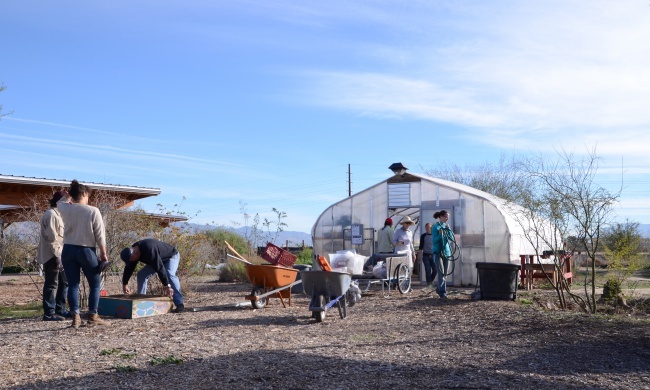 An urban community farm in Tucson? Guess again. This isn’t just urban permaculture—it’s a food bank. In Pima County, which includes Tucson, one person in seven is food insecure—slightly above the national average. Food banks, including this one, the Community Food Bank of Southern Arizona, have been starting gardens and farms where they teach people to grow their own food. These are local, small-scale initiatives that teach “food literacy”—nutrition, cooking, budgeting, grocery shopping and gardening—to communities that suffer from food insecurity or simply a lack of fresh produce. This is a common concern, and food banks across the U.S. are increasingly taking on added responsibilities of not just providing food to low-income communities, but also addressing health issues associated with food insecurity, such as malnutrition and diet-related illness like high blood pressure, type-2 diabetes, and obesity. Las Milpitas—a name chosen by the community which means “little fields” or “little gardens” in Spanish—is a few miles from the food bank’s primary distribution and services center. The farm is in a primarily Latino neighborhood on Tucson’s west side, and closely connected to two nearby mobile home communities. It’s also a four-mile drive from the nearest grocery store. 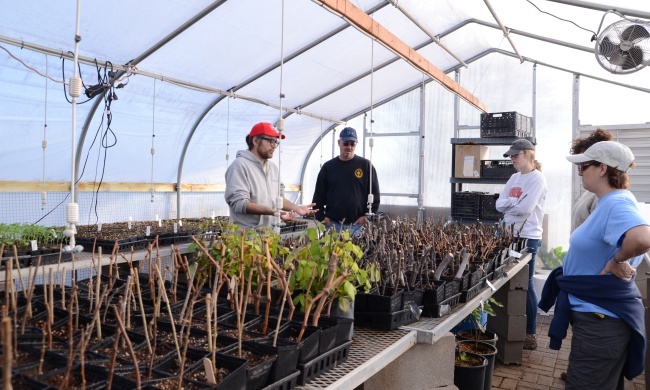 On one part of the six-acre farm, three full-time paid staff members grow produce that later gets included in hot prepared meals for food bank clients or is sold to sustain the farm at the food bank’s SNAP- and WIC-eligible local farm stands. 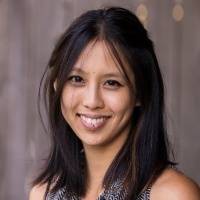 But the heart of Las Milpitas is everything set aside for free use by the community, says Elena Ortiz, Las Milpitas’ Farm Engagement Manager and Advocacy Coordinator. There are around 60 individually-assigned plots, a shared community plot, a greenhouse, a composting toilet, and an adobe oven. At times the farm borrows other equipment, such as a solar dehydrator or a solar oven, which are used in cooking demonstrations and native plant workshops. Gardeners plan their own plots and take home what they grow, Ortiz says. And they come back for other events such potlucks and yoga classes. Local elementary schools also use Las Milpitas as an outdoor classroom to teach a food literacy curriculum about nutrition, plants, gardening, and cooking. And since there are no parks in the neighborhood, Ortiz says, people also come to Las Milpitas simply to enjoy the green space. The gardeners come from all over Tucson. Most of them are women, and many are recent immigrants. Many have never gardened before. Among the watermelons and weeds, some are reconnecting with an agricultural heritage, Ortiz says. “A lot of our gardeners will remember their grandparents in Sonora who had a ranch, and they’ll remember them growing food,” she says. Domenic Vitiello, an assistant professor of City Planning and Urban Studies at the University of Pennsylvania, researches the changing role of food banks in regional food systems. To put these agricultural initiatives in context, he says, we have to balance two considerations. One is the scale of need—the millions of pounds of “emergency” food that a food bank has to provide. The second is that the traditional food bank structure reinforces dependency on the industrial food system, which also is able to take advantage of tax breaks and low wages, thus perpetuating deep economic inequality. An example of a different agricultural approach is Inter-Faith Food Shuttle, which serves seven North Carolina counties, recovering and gleaning about 6 million pounds of food a year that would otherwise have gone to waste. 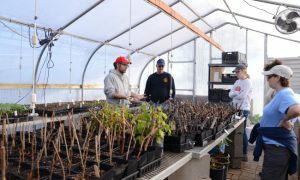 The Food Shuttle also runs a 10-acre production farm, which provides 18,000-30,000 pounds of food per year for its clients—just a fraction of its total distribution. But some of that land, says Farm Manager Fred Baldwin, is set aside exclusively for 12 Burmese Karen refugee families who grow food for their own community. The Food Shuttle has also transformed unused lots into two small urban gardens in low-income and historically Black neighborhoods of Raleigh and Durham, where they teach a five-week backyard gardening course called Seed to Supper. Vitiello says that while community gardens like these and Las Milpitas can’t feed large numbers of people, they can strengthen poor communities to be just as healthy and food secure as any. There are other ways to measure a food bank’s successes than the quantity of food it gives out. Erik Talkin, CEO of the Foodbank of Santa Barbara County and author of the blog From Hunger to Health, is supportive of food banks like the Community Food Bank of Southern Arizona who have successfully pioneered complex approaches. It takes paid staff and a lot of networking for a food bank to create a thriving community garden like Las Milpitas. “They’re doing some good things there that we at the moment don’t have the resources to be able to achieve,” Talkin says. And Ortiz believes that a resilient community is worth the work. “That’s why our food bank has been really interested in growing, because gardens provide this beautiful space for those connections to happen,” she says. This entry was posted in Agriculture, Food. Bookmark the permalink.